FUFA president Moses Magogo says Uganda is not yet ready for World Cup. Courtesy photo. I write this from one of my lowest moments ever. It comes from the frustration we are getting in trying to realise a dream for our country and generation but standing lonely in the wilderness as FUFA, the players and coaches. Whereas President Yoweri Museveni has on earlier occasions offered financial support. the cost to qualify for the FIFA World Cup is enormous. Our competitors in Egypt and Ghana have had full government funding despite other sources of income. Ironically, we stand in the middle of their aspirations despite the disparity in resources invested and the quality of their teams. As we take the final ultimate bend of the last 2 matches with our dream alive, FUFA has exhausted its internal means to finance the campaign. We cannot perform miracles. We cannot prepare well and we cannot motivate the players enough, we cannot post the results we need to qualify. It is the bitter truth. It is the biggest dream for every football athlete and official to play at the World Cup but we are a country that does not comprehend the socio-economic value that comes to countries that qualifies for the World Cup. With two matches to go, only 13 countries still have a chance to grab the 5 places for Africa at the 2018 FIFA World Cup in Russia. Many a country would pay a dollar to be in our position. Whenever we have accessed President Museveni, we have been financed and we have produced the sporting results. Of the 3 away matches we have played in this campaign, it is only against Egypt that the Ministry of Education took over the management of the finances to the national team and nothing was received and also consequently lost the match away in Egypt. You cannot win without money at this level. 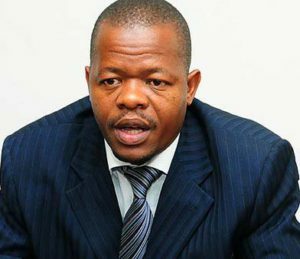 Unfortunately the situation is not helped by the fact that for selfish reasons, there exists a group of people that have worked tirelessly to confuse the unsuspecting public and government to ensure that FUFA does not receive the funding for the team because the credit will go to the individuals in charge. They will finance schemes to discourage the fans to go to the stadium and also work with government agents to frustrate efforts of funding. The technocrats at the Ministry of Education and Sports have failed to advise government on the value of qualifying for the World Cup. They even don’t know what is going on. They don’t understand the aspirations of these young men throwing in their bodies for our country and their future. These boys would turn into instant millionaires and that economic spin would take certain families out of the vicious cycle of poverty. As a nation, we don’t know the price and value of the opportunity we have at our hands. For example has any one thought of the fact that every football club in Uganda that has a player in the national team stands to earn millions of dollars for appearance fees if we qualify for the World Cup? In the current circumstances, there is no better gift that our government can give our nation than qualification to the World Cup.